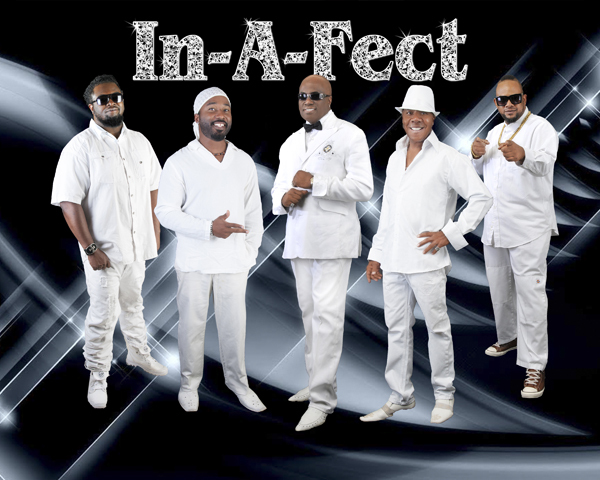 In-A-Fect is a multi talented five piece unit with a universal sound & sizzling harmonies. We’re hitten you with Pop, Rock, R&B Classics, Hip-Hop, Old School Funk and a touch of Motown. Each show we perform is electrifying, mesmerizing and a whole lot of fun! You can book In-A-Fect for your next event just by clicking the "Book Them Now" button to the right and filling out the form. We will be in contact with you about their availability as soon as possible.